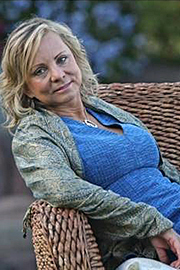 Deborah Ziegler was born in Albuquerque, New Mexico on July 18, 1956. She received her B.A. in secondary education in Texas and then acquired her M.A. in science education in California. Ziegler taught middle school English and science for fifteen years in Southern California, where she currently lives with her husband, Gary, and two cavipoos named Bogie and Bacall. After retiring from her teaching career, Ziegler started a successful woman-owned engineering company. Being Brittany Maynard’s mother is without a doubt Ziegler’s proudest accomplishment in life, and she tells their poignant story in Wild and Precious Life (2016). Currently, Ziegler is on the board of Death with Dignity National Center and speaks on behalf of end-of-life options in the hopes that one day all terminally ill Americans will have the right to aid in dying if they so choose.